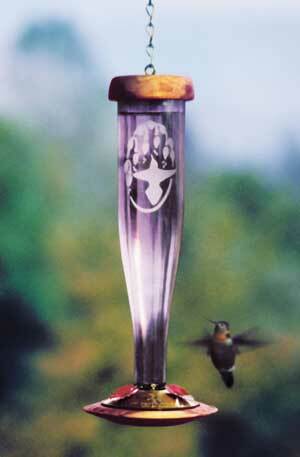 Amethyst Etched Lantern Hummingbird Feeder. Hand-etched jewels. Amethyst Etched Lantern Hummingbird Feeder. Artfully simple, these hand-etched jewels create a sleek, contemporary look in any outdoor garden setting.